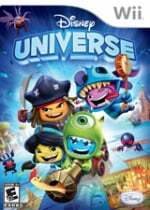 TT Games: "Disney Universe Rips Us Off"
TT Games, which includes the studio Traveller's Tales, is best known for its LEGO games, which all started in 2006 with LEGO Star Wars and went on to sell countless millions worldwide. The series has undoubtedly influenced plenty of modern games too, but it seems TT Games design director Jon Burton believes the newly-unveiled Disney Universe goes too far. 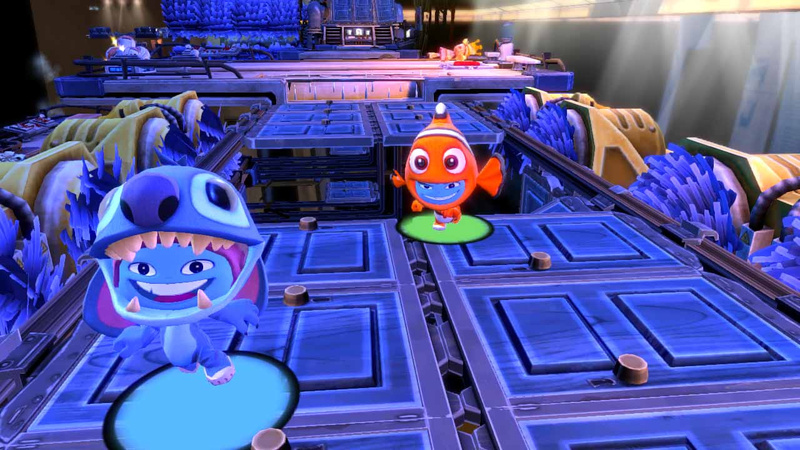 Disney rip off our LEGO games and Little Big Planet to create: http://tinyurl.com/3z492d5. Best of luck to them. To make up your own mind, check out the Disney Universe announcement trailer and see if you can spot any similarities to TT Games' LEGO titles. Because TT Games was the first to introduce all of those game play elements. welcome to the club, TT games. I mean, you invent good stuff and eventually other games do it as well, making it the standard. You don't get to complain about it. Just like Id software doesn't get to complain about every FPS game that comes out and basically uses things they invented with Wolf3D and Doom. Completely agree with Bensei on this one. ...don't go spouting how they ripped you off when you've been doing nothing but sequels. If you were actually planning to make a game EXACTLY LIKE THIS in the near future, you'd have a point, TT. What's the problem, he is not complaining. He even wishes them luck "Best of luck to them." So I don't see a problem. I can totally see the LBP thing, but LEGO not so much. And I agree, there's like 10 of those themed lego games and ALL of them are almost 100% identical, just with different skins. I bought the video game version of shrek 2 which came out in 2004 for gamecube. It was devloped by amaze entertainment and Luxoflux and published by Activision. It was played much similar to shrek. So Activision could say Lego ripped us off. Disney do have a partnership with LEGO and the gameplay elements are unmistakeably similar, it's not surprising he's a little bit mad. Also, although all the Lego games are quite similar, that doesn't mean they haven't "ripped it off". All the GTA games are very similar too, does that mean something like Saints Row just coincidentally copied the exact same formula? Eurocom was responsible for the excellent Goldeneye remake and for Dead Space: Extraction. I trust them a heck of a lot more to bring interesting ideas to the table than I do the devs behind the countless identical and increasingly unimaginative LEGO games. So, TT Games wants to see every game released to be completely original. But then TT Games haven't done an original game in years. Ripping off yourself is still ripping off ideas, mr TT Games. Go home. lol, who cares at this point. It's not like this idea has been milked to death. If anyone needs start thinking about new ideas it's TT Games. None of the gameplay elements he mentioned aren't commonplace. Sonic the Hedgehog 3/Knuckles for Genesis had adaptive difficulty/abilities based on what character you were, and any platformer worth its salt has drop in/out co-op. As for going through different movies...it's a Disney game, what do you think you would be doing? While the Lego games are solid and fun, and they certainly helped build on these ideas, they're not new, and they're not TT's brainchildren. Sour grapes that they didn't get the dev contract, I think. They don't sound too steamed based on those tweets alone. It sounds more like they're just getting a cheap laugh at Disney. I don't think it's worth it to chew out TT Games unless they really start to harp on this. On the surface though, I would have to say that Disney Universe looks considerably more ambitious than pretty much every Lego game I've seen. What is he talking about? Drop in/drop out gameplay has been around since for decades in arcades, playing through several films at once is just multiple movie games in one (nothing unique), adaptive difficulty is nothing exclusive to lego games, and different characters have had different abilities since the first fighter. In other words, his claim is bogus because Lego games didn't start any of those things! It looks incredibly dull and cliché anyway. Kind of like Disney lately, really. That video is useless, but those shiny blue characters and the music make me think more MNR than LBP. Certainly not Lego. And I always thought those Lego games ripped off Disney/Pixar's The Incredibles: Rise of the Underminer (from 2004 I think). TT, You don't own the "genre". lol it's not like this is the first time a game has been "ripped off". So they share similarities, don't a lot of games? Well, everyone copies off everyone. I see the comparison with Little big planet, but not with Lego. So far it doesn't look much like a ripp-off to me. 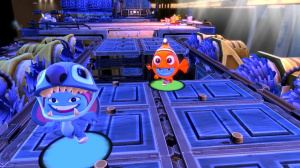 Disney just got some influence from other games. That's not necesarily bad, everyone does it. Everybody copies off ideas look at platforming games they all have the same idea. I was actually thinking The Sims. Either way it doesn't strike me as vvery original, but then again, what does? Some concepts are here to stay. It's okay TT, Sony and Microsoft do it all the time! @7 I think that last part of the tweet was sarcasm.